Thanksgiving 2018 is now in the rear-view mirror. Black Friday, which unofficially started about two weeks ago, has “officially” arrived. The Christmas holiday season is here — complete with non-stop over-played holiday songs emanating from everywhere, incessant bell ringers and an amazing amount of traditional holiday events and activities. 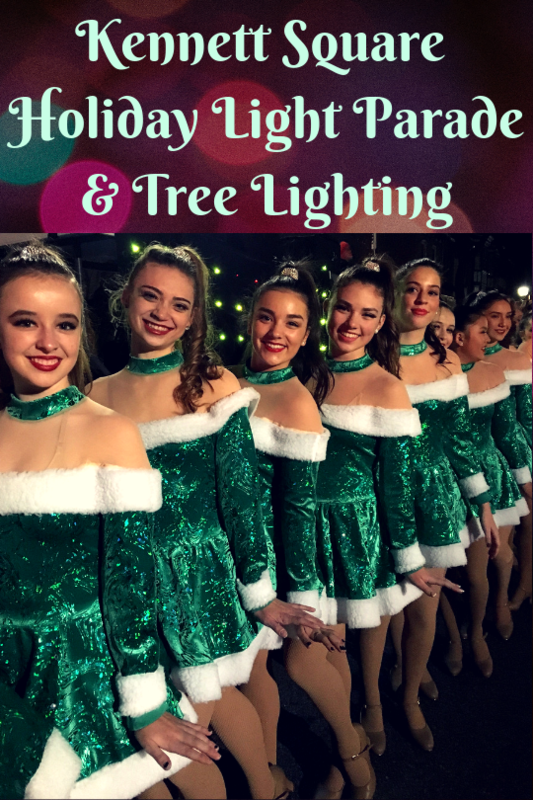 The holiday season will officially arrive in Kennett Square on November 23 when Downtown Kennett Square hosts the town’s annual Holiday Light Parade (Downtown Kennett Square, 610-444-8188, www.historickennettsquare.com). 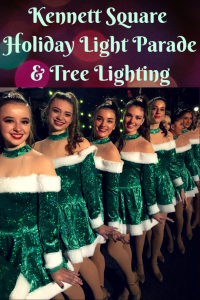 Festivities begin at 6 p.m. with dance performances by Longwood Dance Studio and the parade scheduled to start at 6:15 p.m. The parade, which features the Kennett High Marching Band, will travel up past the Market at Liberty Place toward Union Street (heading east) on State Street. It goes onto the 100 Block of East State Street and then turns down S. Broad Street. Santa and Mrs. Claus are slated to arrive at 7 p.m.
Santa Claus and his wife will serve as grand marshals for the parade which will be followed by the lighting of the town Christmas tree. There will be holiday music on the streets and many of the borough’s shops will stay open late and offer refreshments. Music by a DJ will be filling the air near the corner of Union and State Street. Anchor Life + Fitness will have face painting and hot cocoa. Small Business Saturday is the day Kennett Square celebrates the Shop Small movement to drive shoppers to local merchants across the United States. Visitors on November 24 are invited to enjoy Kennett Square’s downtown area featuring locally owned small businesses. The 2018 Downingtown Good Neighbor Christmas Tree Lighting and Christmas Parade will take place on November 25 starting at 6 p.m. The event was originally slated to be held on November 24 but has been rescheduled to Sunday due to forecasted rain on Saturday. The parade will get underway at 3 p.m. The parade will start in the area of Beaver Creek Elementary School, 601 W. Pennsylvania Avenue, travel south on Gable Avenue to Business Rt. 30. The parade will turn left and head east on Rt. 30 continuing to Whiteland Avenue/Rt. 113. (East Ward Elementary School), where it will end. Santa Claus will arrive around 6:20 p.m. to light the Christmas Tree. The Christmas Tree sits along Business Route 30 right next the Log House. The event is held in the Log House field, below the Christmas Tree. Last year, Downingtown Good Neighbor Christmas, Inc. celebrated the unveiling of the new 17-foot Giant Everest Christmas Tree — along with a record turn out from the community. This year, the organizers have purchased a 3-foot extension for the tree making it a 20-foot tree with a 3-foot star on top. The festive holiday display at Longwood Gardens, which opened on Thanksgiving Day and is continuing through January 6, features spectacular lights, lavish decorations, holiday music and colorful displays featuring thousands of brilliant poinsettias, brightly-decorated trees and fragrant flowers — all inside the heated Conservatory. 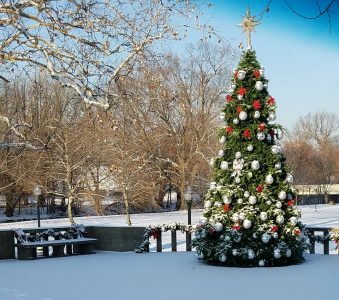 “A Brandywine Christmas”, which runs from November 23-January 6 at the Brandywine River Museum (Route 1, Chadds Ford 610-388-2700, www.brandywinemuseum.org), is an annual event that is fun for the entire family. The well-attended annual “Critter Sale” is scheduled for November 29 and 30 and December 1 and 2. Special events include “Carols Concerts” throughout December, “Museum Store Sunday” on November 25, “The Polar Express Read-Aloud Pajama Night” on November 29, “Children’s Christmas Party” on December 5, “Breakfast with the Trains” on December 8 and 15, and “Terrific Trains Family Program” on January 5. The activity calendar for the weekend does feature a few non-holiday events worth checking out. Every year, there are numerous celebrations around America to honor patriots. The Brandywine Valley has “Patriot’s Day” — a special celebration that will be held from 10 a.m.-4 p.m. on November 24 at the Brandywine Battlefield (Route 1, Chadds Ford, 610-459-3342,http://brandywinebattlefield.org). On September 11, 1777, approximately 30,000 thousand British and American soldiers fought in the Chadds Ford area in what is known as the Battle of the Brandywine. On that warm day, musket and cannon fire echoed over the rolling hills of the Brandywine Valley and changed the landscape and views of its inhabitants for years after. This historically-rich environment located in Delaware County, Pennsylvania represents many aspects of American life, especially in the 18th century. 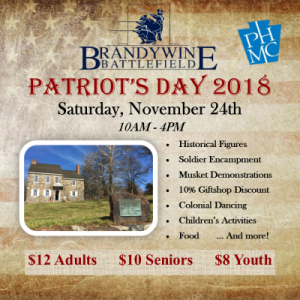 Today, the Brandywine Battlefield historic site sits on 46.5 acres of the location that was the Continental encampment and offers many different programs and tours to the public to foster the appreciation for historical thinking and preservation. Visitors to the park on “Patriots’ Day” are given the opportunity to step back in time to a small outpost in the area in the winter of 1777. The event will feature Colonial soldiers along with sutlers and period interpreters. There will be a presentation by General George Washington in the afternoon. Tickets for the Patriot’s Day event are house tour, museum and film are $12 for adults, $10 for seniors, and $8 for youth (ages 6-17). Visitors will be able to explore the magical world of the Academy’s phenomenal beasts with a weekend of spellbinding, hands-on activities – including meeting the Academy’s own live beasts and learning about the real animals that inspire favorite wizarding stories. 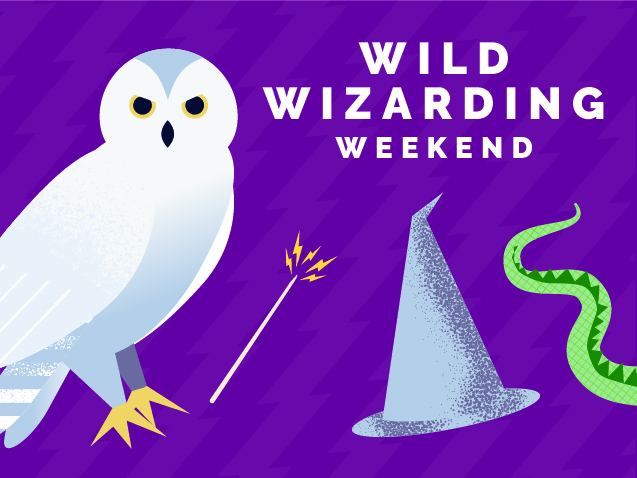 Kids of all ages can take in a Bunny and Broomsticks game, make a magical wand, and take home a dragon’s egg during this wild weekend where wizards are welcome. Anyone wearing a costume will get a $2 discount at the door. The list of special activities includes “Castle Classes,” “Magical Myths,” “Bunnies and Broomsticks” and “Magical Crafts.” There will also be several special shows in the auditorium. Museum admission is $19.95 for adults and $15.95 for children. If you’re a music fan that is looking for hard-to-find collectibles such as out-of-print CDs, rare 45s, vintage music posters or albums that have been deleted from record company catalogs years ago, there is an answer other than e-Bay. That answer is the annual “Not Just’ Rock Record Expo 2018” which is celebrating its 32nd anniversary this year. 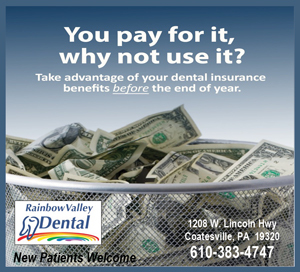 The event will take place on November 23 and 24 at the Greater Philadelphia Expo Center (Station Avenue, Oaks, 484-754-3976, http://www.notjustrockexpo.com/). There will also be a variety of autograph guests including author Jim Santora, Jr.
Tickets for the special holiday weekend event are $5 for either day. Show hours are from noon-6 p.m. on Friday and 10 a.m.-4 p.m. on Saturday. When the Christmas season arrives in Europe, it is common to see Christmas villages erected in downtown locations of big cities. These villages are temporary sites that feature live music, a variety of holiday attractions and a large number of specialized vendors. Philadelphia is keeping pace with the European cities with a Christmas village of its own — a special site that springs to life this weekend and continues until December 24. It will be officially opened by the original Christkind from Nuremberg, Germany on November 25. 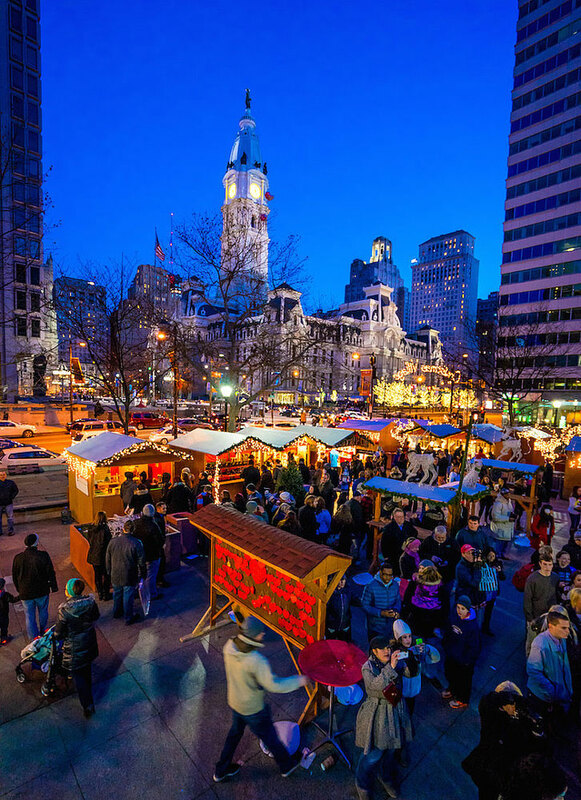 “Christmas Village in Philadelphia” (Love Park, 1400 JFK Boulevard, Philadelphia, 215-391-3017, www.philachristmas.com) is a free outdoor holiday market event that captures the vibe of the traditional European Christmas markets. Christmas Village in Philadelphia is modeled after traditional German Christmas Markets. The history of Christmas markets in Germany dates to the late Middle Ages. One of the oldest and most famous ones is held each year in Nuremberg in the state of Bavaria. It has been passed down from generation-to-generation ever since the area’s farmers started selling their crops in a farmers’ market during the Advent time in the mid-16th century. The goods presented in wooden booths include a rich variety of holiday gifts including Christmas ornaments, arts and crafts, toys, sweets, as well as German food and drinks. People stroll around, meet friends, and enjoy live performances of Christmas music. At the Village in Philadelphia, vendors selling traditional European food, sweets and drinks are set up in 80 wooden booths and timber houses that form a medieval village. They will also offer a unique shopping experience with international holiday gifts, ornaments, jewelry and high-quality arts and crafts. The Village will feature the sights and sounds of the holidays with thousands of twinkling lights, giant glowing stars, festive decorations, a musical stage and children’s activities. All the event’s annual fan favorites will be back, including Photos with Santa, Käthe Wohlfahrt, Herrnhuter Stars, the German Grill and the event’s main stage. At the center of the market, an ornate and grand old-time carousel will be operating to give children of all ages a new holiday tradition while visiting the authentic German Christmas Market. The carousel features 20 wood-carved horses that will twirl around for an unforgettable view of the new market inside City Hall’s courtyard. The primary travel itineraries for Santa Claus are riding in parades and traveling by sleigh. But these are far from the jolly old guy’s only means of transportation. He also makes visits using a variety of modes such as helicopters, horse-drawn carriages, fire trucks, open-air convertibles, speed boats, hot air balloons and trains. There is something special about riding on a train that is being pulled by a steam locomotive. Almost everyone enjoys the experience — even Santa Claus. This year, Santa will be visiting several of the area’s tourist railroads to take special rides with his friends. One of the best train rides with Santa Claus is the one presented by the West Chester Railroad (Market Street Station, West Chester, 610-430-2233 or www.westchesterrr.net). The special “Santa’s Express” trains (which feature heated cars decorated for the holidays) will run on November 23, 24, 25 and December 1, 2, 8, 9, 15, 16, 22 and 23 at 11 a.m., 1 and 3 p.m. There will be additional departures at 5 p.m. on December 1, 2, 8, 9, 15, 16, 22 and 23. The 90-minute journey on the trail line’s heated decorated train travels through the Chester Creek Valley. Santa Claus will be greeting everyone at Market Street Station and then going along for the ride to Glen Mills. Once at Glen Mills, passengers can disembark, explore the historic station and take advantage of photo opportunities on Santa’s lap inside the station. Live music will be provided by Greg Wright. Adult fare for the West Chester Railroad trips is $25. Tickets for children (ages 2-12) are $18 while toddlers (ages 9-23 months) get to ride for $8. The Wilmington & Western Railroad (2201 Newport Gap Pike, Wilmington, Delaware, 302-998-193, www.wwrr.com) will run its “Santa Claus Express” on Saturdays and Sundays between Thanksgiving and Christmas. Santa and Mrs. Claus will be riding along with passengers on the steam-powered 90-minute round trip to Ashland Station. They will be greeting everyone on board and offering chocolate treats to the youngsters. Santa will also be posing for pictures with his fans. Steam locomotion will return to the Wilmington & Western for its annual Santa Claus Express. The rail line’s 0-6-0 switcher No. 58 has returned to service after a multi-year restoration and will power Santa’s train through the Red Clay Valley this season. Tickets for these trains, which run now through December 23, are $19 for adults, $18 for senior citizens and $17 for children. The tourist rail line will also be running special “Holiday Night Express Trains,” featuring a peaceful evening ride in the railroad’s 1929 Doodlebug rail car. Tickets for these trains, which are running now through December 30, are $13 for adults, $12 for senior citizens and $11 for children. The Strasburg Rail Road (Route 741, Strasburg, 717-687-7522, www.strasburgrailroad.com) is running its “Santa’s Paradise Express” from November 24 until December 17. Santa will be the featured guest on each ride from Strasburg to Paradise and back. The rotund guy in the red suit will be greeting passengers, shaking hands, posing for photos and giving a treat to each child. After the train ride, children are treated to storybook readings of holiday classics. Visitors of all ages can also enjoy a ride aboard the Tinsel Trolley, a self-propelled motor car. Tickets are $19.50 for adults, $13.50 for children (ages 2-11) and $4 for infants. The Strasburg Railroad will also be running its “Night Before Christmas” train on November 30 and December 1, 7, 8, 14, 15, 21 and 22. This very special train recreates the excitement and anticipation of Christmas Eve. A reader dressed in a Victorian nightshirt and cap will read Clement Clarke Moore’s classic poem “The Night Before Christmas” as the train rolls along. After the poem is read, passengers can enjoy a treat of milk and cookies. Children are also treated to storybook readings of holiday classics aboard the stationary heated caboose and visitors of all ages can enjoy a ride aboard the Tinsel Trolley, a self-propelled motor car. In the spirit of the season, kids may come dressed in pajamas. Tickets for these rides on the Strasburg Railroad are $19.50 for adults, $13.50 for children (ages 3-11) and $4 for toddlers (under age 3). The New Hope & Ivyland Railroad (32 Bridge Street, New Hope, 215-862-2332, www.newhoperailroad.com) is operating its “North Pole Express” now through December 31. Tickets are $94.98 for adults, $84.98 for children (ages 3-11) and $15.95 for infants (ages 0-2). Passengers can ride the rails with Santa, Mrs. Claus and a group of holiday revelers. Children and adults of all ages can sip hot cocoa and enjoy cookies while Santa visits with each child and presents them with a special gift. Local musicians will be on board to play and sing Christmas carols. Christmas trains also come in a smaller variety. Model railroad displays and the Christmas holiday season have been linked together since a time before even your parents were even kids. One of the most elaborate model train layouts in the Delaware Valley can be found at the Morris Arboretum (100 Northwestern Avenue, Chestnut Hill, 215-247-5777,http://www.morrisarboretum.org). The popular Garden Railway Display that has become a summer fixture at The Gardens at Morris Arboretum returns again for a special holiday display. The display, which is open to the public now through December 31 in the winter garden of the Morris Arboretum, has a quarter-mile of track featuring seven loops and tunnels with 15 different rail lines and two cable cars, nine bridges (including a trestle bridge you can walk under) and bustling model trains. The buildings and the display are all made of natural materials — bark, leaves, twigs, hollow logs, mosses, acorns, dried flowers, seeds and stones — to form a perfectly proportioned miniature landscape complete with miniature rivers. Philadelphia-area landmarks are all meticulously decorated for the holidays with lights that twinkle. Admission to the Morris Arboretum is $19 for adults, $17 for seniors (65 and older) and $10 for students and military. There are plenty of reasons to take the short drive to Delaware this holiday season with tax-free shopping on everything at the top of the list. Another major reason is the annual staging of “Holidays at Hagley” — an event that is always one of the most eagerly anticipated holiday attractions in this area every year. The popular Brandywine Valley exhibit, which is included with regular admission, opens today and continues through January 1 at Hagley Museum and Library (Route 141, Wilmington, Delaware, 302-658-2400, www.hagley.org). This year’s edition of “Holidays at Hagley” features tours of Eleutherian Mills, which is the first du Pont family home built in America. The tours, which will be presented each day from 10a.m.-4:30 p.m., feature decorations in a combination of styles from both the 19th and 20th centuries. During the Victorian years when candle-lit tabletop Christmas trees were the norm, hand-made gifts were attached to tree branches, and winter scenes were displayed underneath the tree. The upstairs Victorian Library shows how magical that looked with its mid- to late-nineteenth-century toys, games and dolls. The upstairs Parlor features a case filled with small ceramic animals well-loved by some of the du Pont family children. Early du Pont family French holiday traditions are remembered with a display of gifts that were given to E. I. du Pont’s children on New Year’s Day as well as the Twelfth Night party illustrated by the ornate French dessert service in the Dining Room. Well-loved displays returning include the elaborate Twelfth Night celebration in the dining room and the Victorian library’s Christmas for children with its table-top tree surrounded by toys and games. Of course, there will be warm glowing lights and poinsettias. Admission is $15 for adults, $11 for seniors and students and $6 for children (ages 6-14). Two historic sites in Montgomery County have their own holiday celebrations. For the next six weeks, Pennypacker Mills will offer free tours of the 18-century mansion used by General George Washington as temporary headquarters during the Revolutionary War. The home will be decorated for an old-fashioned Victorian Christmas and will feature the warm glow of oil lamps, festive decorations and a candy-making demonstration. If you really want to get into a Christmas mood in a big way, visit Koziar’s Christmas Village (782 Christmas Village Road, Bernville, 610-488-1110, www.koziarschristmasvillage.com) which begins its 71st season on November 3. Bethlehem, which is known as the “Christmas City,” presents Christkindlmarkt Bethlehem (PNC Plaza at SteelStacks, 645 East First Street, Bethlehem, 610-332-1300,http://www.christmascity.org) every Thursday, Friday, Saturday and Sunday now through December 23. Christkindlmarkt Bethlehem showcases aisles of exquisite handmade works by the nation’s finest artisans. The market also features live performances of Christmas music and vendors with an amazing variety of tasty food items. Tags:Featured · Kennett Holiday Parade · Longwood Gardens · Patriot's Day · West Chester Railroad · Wild Wizarding Weekend.